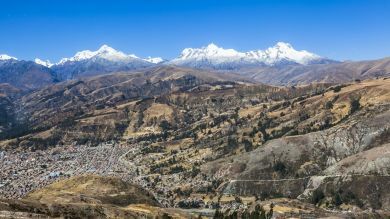 Unless you arrive on foot via the Inca Trail to Machu Picchu, you will certainly have to spend a night in the town of Aguas Calientes (also called Machu Picchu Pueblo or Machu Picchu Town) while visiting Machu Picchu. 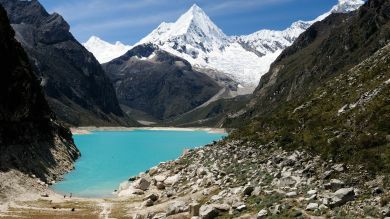 Aguas Calientes is a short bus ride from Machu Picchu itself, where there are many accommodation options to suit all budget and group size. If you are wondering where to stay in Machu Picchu, look no further. 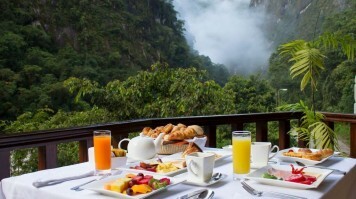 We have assembled 10 of the best hotels near Machu Picchu from luxury to affordable options for a comfortable stay. 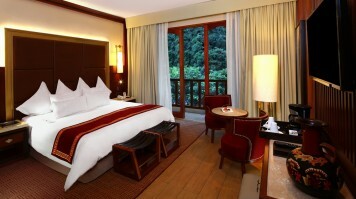 If you’re looking for a luxury hotel near Machu Picchu, the Inkaterra Machu Picchu Pueblo Hotel is one of the best. It consists of a number of free-standing buildings in a lush jungle setting and is located a short distance away from the hustle and bustle of the town for a more peaceful stay. The hotel features beautifully decorated common areas, an excellent restaurant with views over the Vilcanota River and an Andean sauna. 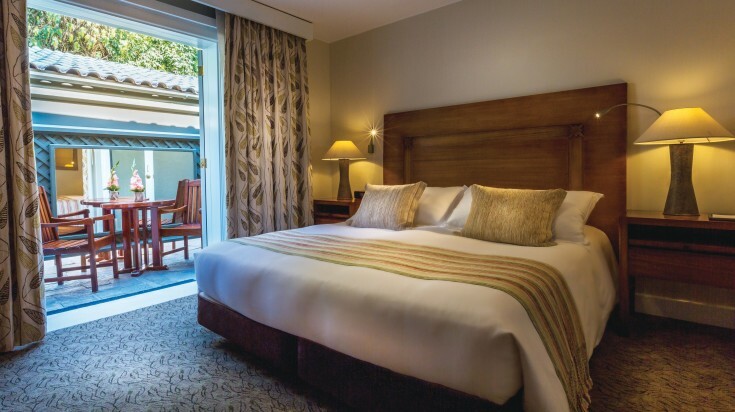 An elegant five-star hotel designed in classic Andean style that features a stylish bar and restaurant and offers lovely views over the jungle. 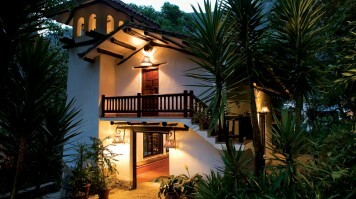 There is also a spa and wellness centre where guests can go to pamper themselves after a trek to the Machu Picchu ruins. 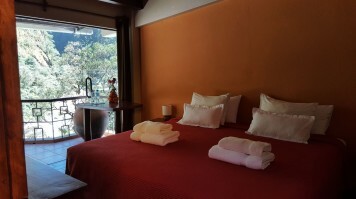 The location is excellent and this would be a good choice for couples looking for comfort and class while staying in Aguas Calientes. 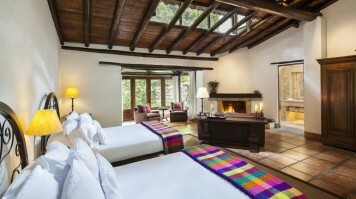 The Belmond Sanctuary Lodge is the only hotel located up the hill next to the ruins and a stay there is the perfect way to beat the crowds in Aguas Calientes. While there, you can dine in a restaurant overlooking the jungle or you can indulge yourself with an aromatherapy massage – although bear in mind that the hotel doesn’t offer views of Machu Picchu itself. 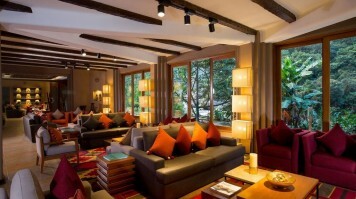 A very central four-star hotel located right next to the Urubamba River. 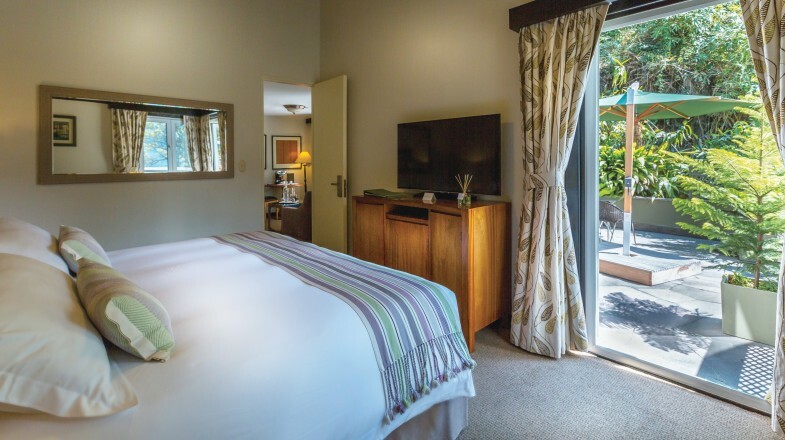 The rooms are large and tastefully decorated and the bathrooms all include a spa bath, perfect for a soak after a hard day of exploring the ruins. The staff are friendly and helpful and the breakfast is particularly good. A stay at the Hatun Inti represents great value for money. Free WiFi. This B&B offers picturesque views over the river and mountain – ask for the room with a balcony! It is located a short walk from the busy centre which ensures your stay is quiet and peaceful, but also close to the bus station making it convenient for visiting Machu Picchu. Although the breakfast is a highlight, the hotel has a snack bar which can provide packed lunches. Address: Avenida Hermanos Ayar 305, Machu Picchu Pueblo. This is a simple hotel that focuses on cleanliness and comfort. The hotel is well situated with great views of the mountains which can be admired from the hotel’s sun terrace. It is located only a five-minute walk from the bus station and is close to a number of good restaurants. The rooms are spacious and all include large flat-screen TVs with free WiFi. A good option for those looking for a welcoming and friendly mid-range option. A no-frills, family-owned three-star hotel for those on a budget, the Andino is located about half way between the train and bus stations but a little away from the central part of town so it’s not too noisy. The staff are very friendly and helpful and the hotel has a homely feel to it. The breakfast is excellent and the hotel is close to several good restaurants which means there are plenty of eating options. This hotel is great value and would be a good pick for anyone looking for decent accommodation at a low price. Well located for access to the train and bus stations as well as the local hot springs, the modern Terrazas del Inca B&B features wonderful views, great staff and careful attention to detail. 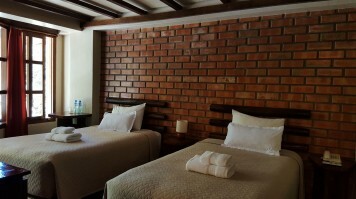 The rooms and common areas are all very clean and the beds are comfortable. Breakfast is hearty and there are also facilities for preparing food for when you head to the ruins. A good choice of mid-range B&B with a personal service. One of the best budget hotels in Machu Picchu with options of either an all-female or mixed dorms as well as privates at low prices. The price of a bed includes breakfast in the morning and there’s plenty to occupy you in the evenings. There are common rooms with sofas and beanbags, a pool table, DVDs and board games. The whole place is modern and clean and is a great place to hang out after a trip up to the ruins. This a fun place to stay if you want to meet other travellers and save a bit of money. It is close to the train line so it can be a little noisy. One of the newer hostels, the Supertramp Hostel features décor and facilities aimed at the backpacker crowd and offers large dorms or affordable private doubles with shared bathrooms. The bar is lively and sometimes hosts live music performances and the staff are friendly and helpful. This hostel features all the usual backpacker facilities including TV, DVDs and book exchange, and there is free tea and coffee available all day. A good choice for someone on a budget or for a solo traveller who wants to meet people and make new friends. Machu Picchu is one of the most popular and busiest destination in the world and it is highly recommended that you reserve as early as possible since the best hotels in Machu Picchu get filled quickly. Whether you plan to stay in a luxury or a budget hotel, you will be able to find a Machu Picchu hotel to suit your wallet and style. 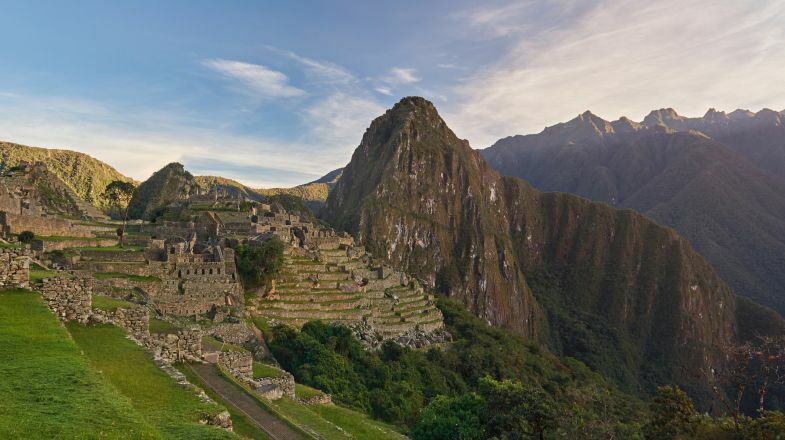 If you are trekking the Inca Trail or just visiting Machu Picchu, please do check up on the best time to visit Machu Picchu before planning your next trip to Peru.